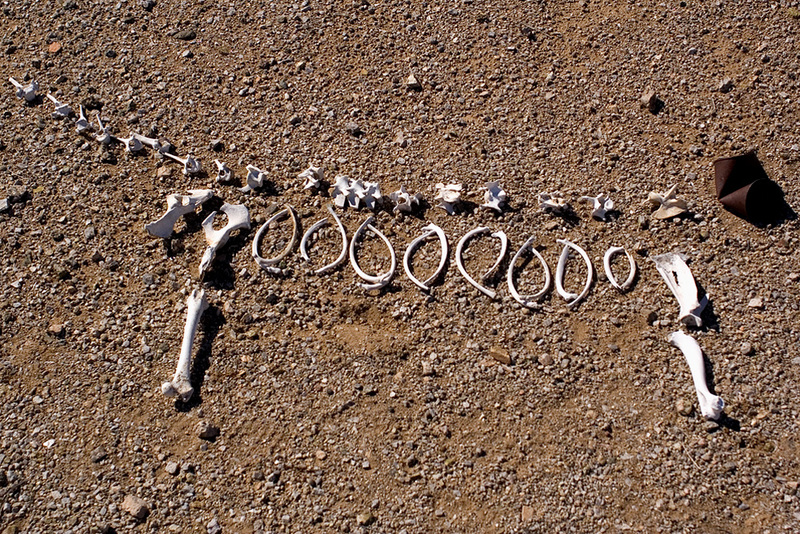 Dog reassembled from scattered bones. WHERE COULD ITS HEAD BE?!?!?!?!? Reward: Please find its head, reassemble, disassemble, randomize, deconstruct, document, submit.